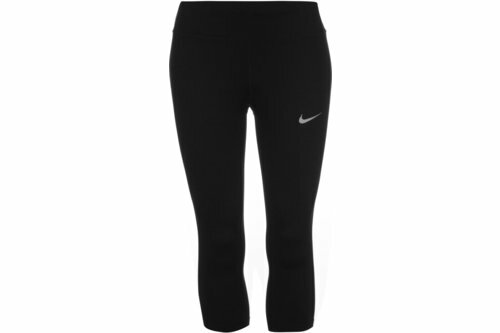 Keep cool and dry whilst working out in these Nike Essential Capri Pants, designed with Dri Fit technology to allow for sweat to be drawn away from the body to keep you cool and dry for longer allowing you to focus longer on your activity. Its stretchy capri length features flat lock seams to promote a more comfortable feel against skin even when friction occurs. These running tights benefit a discreet zipped pocket to the back to allow you to safely store you MP3 in or any other small personal item. Reflective Nike branding completes the overall look.